Skin care product manufacturers typically sell to retailers and other resellers. They must work hard to land this business and losing even a single client can be devastating. 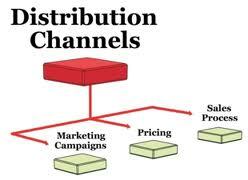 A high-quality website allows them to increase their product distribution channels at a low cost. Whether they design the site themselves or contract with Illumination Consulting for this task, they will reap the many benefits of conducting business online. A business should make its initial online impression a positive one and this requires top-notch website design. A small manufacturer can look just as appealing as a large one when it has an impressive website. This is the beauty of doing business online: it allows even the smallest companies to gain a significant market share if they provide an attractive, informative, and easy to navigate site. If you choose to have the professionals at Illumination Consulting design your website, you will receive an initial consultation at no charge. During this meeting, our experts will recommend the best site design for your business. Every solution we provide features a custom site driven by multiple databases and powered by the top applications in the relevant field. When designing the site themselves, manufacturers should recognize the importance of optimizing each page for major search engines like Google. This will improve ranking on search results lists, driving more traffic to the site, which should increase profits. A website design that keeps the desired results in mind will be the most effective. The website should be flexible enough to accommodate the ongoing changes that take place within the industry. Skin care manufacturers should always be streamlining their product distribution process to make things faster and easier for customers. Reflecting changes and updates on the website shows these clients that the manufacturer has its best interests in mind, which should increase business.